Episode 60: "A Curried Favor"
*Peeled Lychee Bomb is changed to Rotten Egg Bomb. Why would you even bother? *There was a scene where Minako cut her finger, and Usagi mistook a carrot tip for the tip of her finger. Freakout ensues until Minako points out she didn't cut it that bad. This is cut... and put in the Sailor Says! Hooray logic! "SCREW LOGIC WE ARE BAD DUBBERS"
Episode 61: "Naughty 'N' Nice"
Original: Chibi-Usa wet Usagi's bed and ran away. Dub: Rini... is mad that Serena doesn't care about her and runs away. As such, a bunch of the episode was cut/changed. *Still not talking to Pluto, though Luna-P is a communicator this time. IS IT AWESOME LIKE I SAID? Epsiode 62: "Prediction of Doom"
*Unazuki Furuhata is changed to Elizabeth Hansford. Oh boy. *Akumuda is changed to Hypnotica. *They cut Usagi's dream. You know, she's asleep? Bad dream? We originally actually saw what it was! It's Usagi trying to run to Mamoru and never catching up... until he kisses her and she finally reaches him. *They also cut Sailor Mars slapping Moon to wake her up... but left it in the preview! Episode 63: "Enemies No More"
*Prince Dimande is changed to Prince Diamond. Meh, same thing. Yeah, that one's kinda common. *Check this out. The first chess game between Ami and Berthier used a position taken from the 1972 World Chess Championship! In the real game, Spassky (white) resigned on the spot after Fischer's move 27. In this episode, Berthier played the same move, but Ami played on and managed to win against an opponent who had up to then been playing at the standard of Bobby Fischer! Go Ami! *Mercury Bubbles Blast is called Mercury Ice Storm Blast today! For no reason! And of course, it's still Shabon Spray in Japanese. *Okay so it's not a mistake per say, but I think it is. For years, this was the last episode dubbed. Yes. This one. IT DOESN'T WRAP UP ANYTHING! Episode 66: "Rubeus Evens The Score"
*Esmeraude is changed to Emerald. Okay, I can live with that, Esmeraude is old-french for Emerald anyway. ... nothing much else... oh! 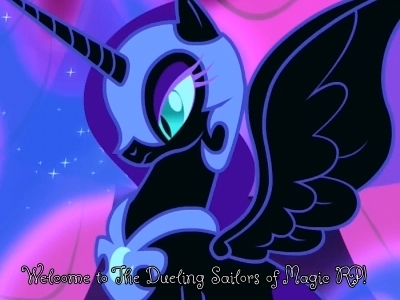 *They repeated a Sailor Says segment from Episode 4 or so! I guess they couldn't think of anything. Episode 67: "Rubeus Strikes Out"
*They cut a bit where the Sailors are on crosses. Oh and hey look another recycled Sailor Says. Running out of ideas! and then I watched Uncut!Yugioh. Episode 68: "The Secret of the Luna Sphere"
*Saphir is changed to Sapphire. I'm good with this. Oh look, another recycled Sailor Says. No ideas left, everybuggy! Episode 69: "Emerald Takes Over"
*I know I said I wouldn't say it until S, but just this once more: ATTACK. NAME. CONFUSION. I SWEAR I'LL WAIT TILL S WHERE IT'S MANAGEABLE. *Udering is changed to Regalia. *Hey, the anime-only Mamoru-and-Usagi-break-up-subplot is over now! Episode 71: "No Thanks, Nurse Venus"
*Pharmakon is changed to Injector. *The dub removed every single reference to Christmas, including the Christmas songs in the background.